Hey Megan, it's your father. 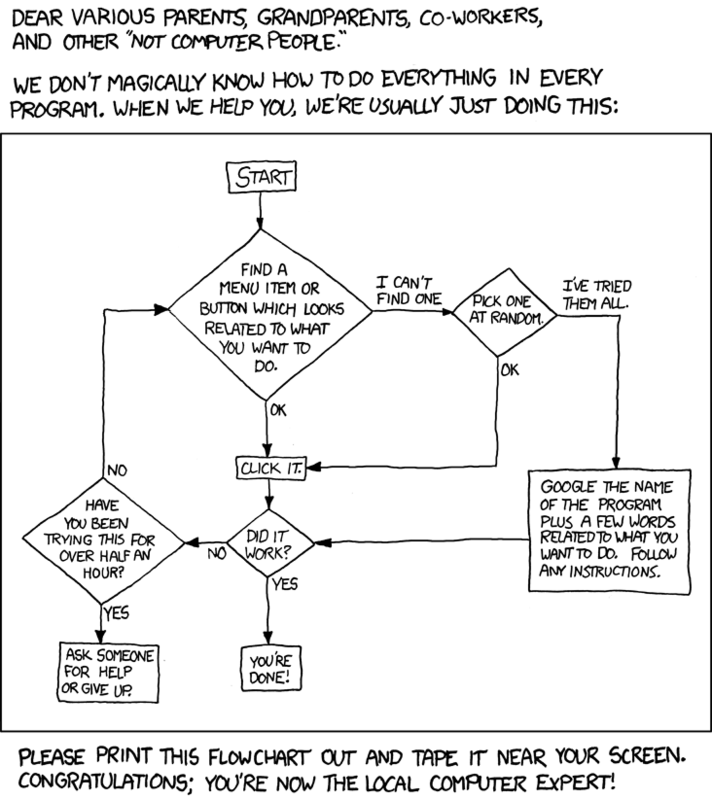 How do I print out a flowchart? Ahhh…. a return to form for XKCD! This is right on the money.